Nelvik is the son of Cronar, who was once a beautiful angel, a Royal Guard who protected Price Judah, the son of King Adonai of Beulah. When Cronar dies, Nelvik is sent to an orphanage in the evil kingdom of Dragonia and soon discovers that children are sacrificed to the evil king Terah. With the help from one of his guardian angels called Jhira, King Adonai reveals to Nelvik the exodus plan for the entire orphanage. King Terah discovers the secret exodus and pursued them but the escaping children are miraculously caught up into Beulah. 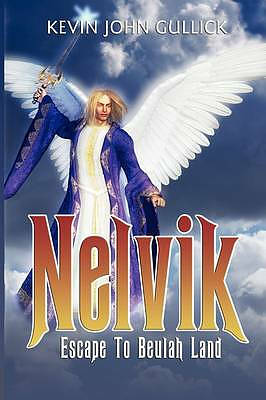 Nelvik: Escape To Beulah Land by Kevin John Gullick was published by Holy Fire Publishing LLC in August 2009. The ISBN for Nelvik: Escape To Beulah Land is 9781603831970. Be the first to review Nelvik: Escape To Beulah Land! Got a question? No problem! Just click here to ask us about Nelvik: Escape To Beulah Land.